Spent most of Carnival season back and forth between here and Memphis...a continuation of the last year. I took lots of trips up there to help out my 90 year old dad, who has been living on his own with memory problems. Finally, we got him moved into assisted living near us down here, which should work out better for all concerned. Just in time for his first Mardi Gras in Louisiana. That explains at least part of the reason for my long absence from the blog. Missed the Krewe du Vieux parade for the first time in many years....So not many photos to share. 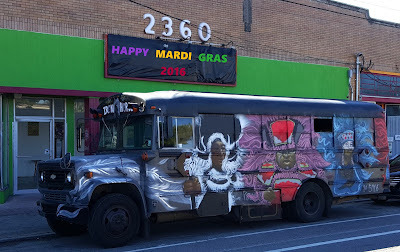 Saw the Mardi Gras Indian bus parked on St. Claude Avenue during a brief respite in Nola [thanks to Kelly at the Lookout Inn] a few weeks back to celebrate the 30th birthday of my step-daughter, Marie. 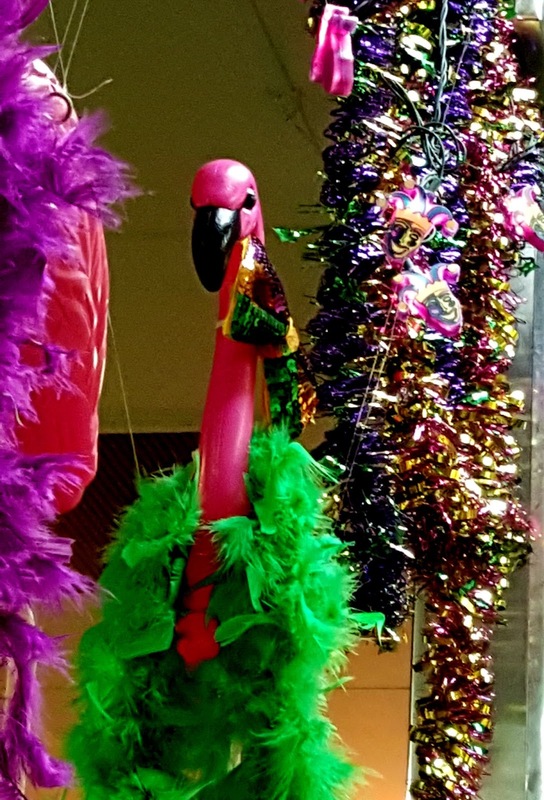 The festive flamingo is from our local diner. On a musical note, you can stream my radio shows from January up to this past Thursday at KRVS and hear a lot of my Carnival music archives along with an Allen Toussaint birthday special in the mix - and/or listen to shows from further back, too. 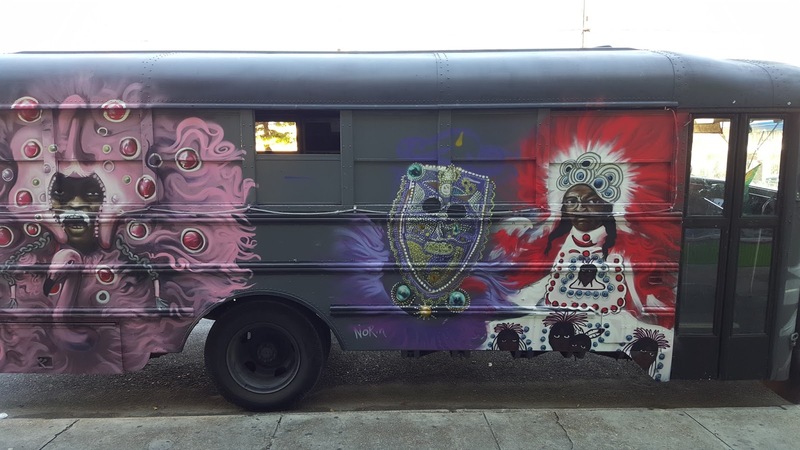 Also, WWOZ New Orleans has oodles of feel good music of the season going on now through Mardi Gras Day....and the rest of the year, for that matter. Wherever and however you do it to it, hope y'all pass a good time.